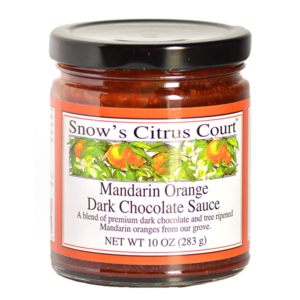 Snow’s Citrus Mandarin Orange Dark Chocolate Sauce & Mandarin Orange Fruit Spread + your choice of one other bottled product. 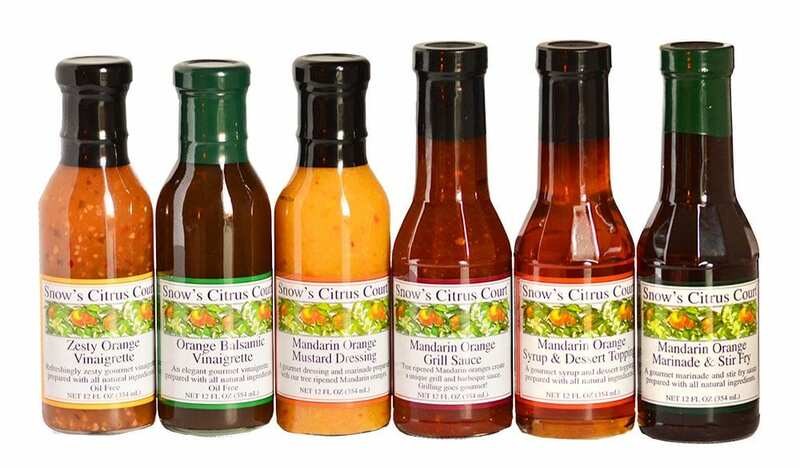 Recipe Sheets, Custom Holiday Gift Card & Shipping Fees Included. 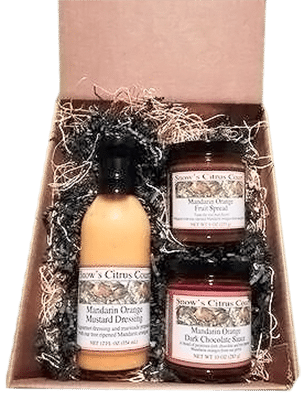 If you would like your order shipped on a specific date, please include this date in the “Shipping Date” field above and we will do our best to accommodate your request. Our printed holiday gift card reads: ‘Happy Holidays and Best Wishes for the New Year.’ Or, include your own personal message in the “Custom Gift Card Message” field above and we will put that on a gift card for you.